Aw Hell Naw! 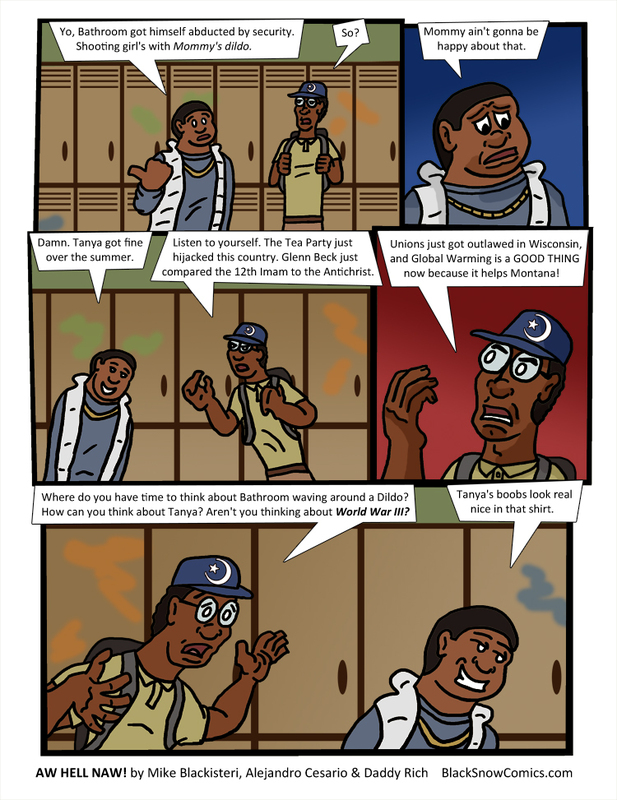 was created in a collaborative effort between Black Snow Comics and Urban Image Magazine, very loosely based on a concept from Daddy Rich. It is about three Black brothers being raised by their single mom and going to school in the inner city. This was originally published in Urban Image Magazine’s March/April issue. This was originally published in Urban Image Magazine’s May issue.